Mauerlat is part of the roof and has an important role in the uniform distribution of the load from the roof. The installation of the power plate is done in several different ways. The choice depends on several criteria, including the material from which the building is being built. Mauerlat - what is it? The Mauerlat is made in the form of a wooden beam, which is mounted on the walls of a house. Carries the functions of transmission and load distributor from the weight of the roof, snow and wind, rafters and floor beams on the walls of the building. 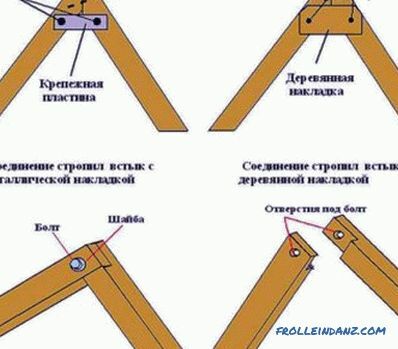 Among the builders, this element of the house, in connection with the difficulty of pronunciation, is often called the matitsa, murlat, etc. The mounting scheme of the power plate to the armored belt. The first stage of the installation of any roof is the installation of a power plate. 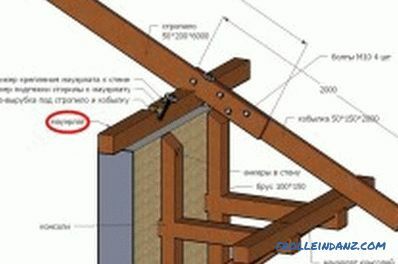 The exception is the construction of wooden structures from timber, logs, frame-panel buildings, when the uppermost crown of timber or logs acts as a mauerlat. For the installation of a mauerlat, a wooden bar with a section of 150x150 mm or 150x100 mm is most often used. Pre-timber is recommended to treat antiseptic compounds that will extend the life of the element. They protect against moisture, damage by wood-borne insects. 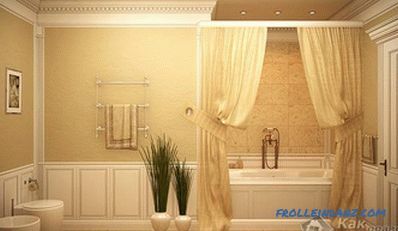 It is also necessary to provide a layer of waterproofing. For this you can use the laying of roofing material in two layers. Mauerlat is best laid flush to the inside of the building wall, and outside it’s worthwhile to perform a security barrier in the form of a brickwork. It should be noted that it is necessary to provide a power supply device, since it provides not only a uniform load, but also gives the entire roof structure additional strength and reliability. How to attach the power plate to the wall. For two or three rows of bricks to the top of the wall, bars of wood are mounted on which they are then attached with using braces Murlat. This method is used in the construction of buildings from cellular blocks. When constructing such buildings, it is necessary to manufacture a reinforced concrete belt under the roof itself. When it is poured into it, threaded rods are installed. For these fastenings in the timber, the corresponding holes are drilled, on which the power plate is planted. 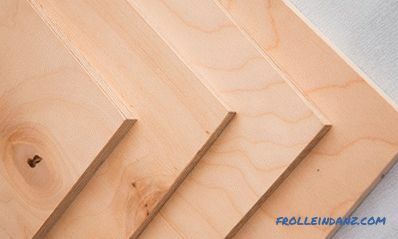 For a more durable and reliable connection, the timber is additionally attracted to the wall with washers and nuts. 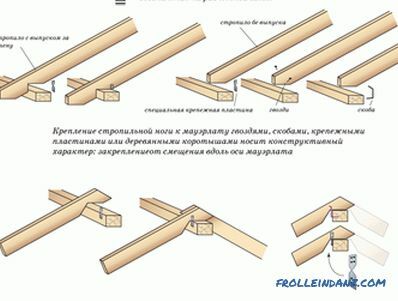 For this method of fastening the studs, it is better to use a diameter of 12-14 mm and install them with a step of 1.5-2 m.
This method of installation is similar to the previous one, but is already used in the construction of buildings made of brick. Studs are installed directly into the masonry, to a depth of at least 3 rows of stone. It is worth noting that instead of the studs, you can use conventional reinforcement, on which the nuts are simply welded. Such a replacement will save. 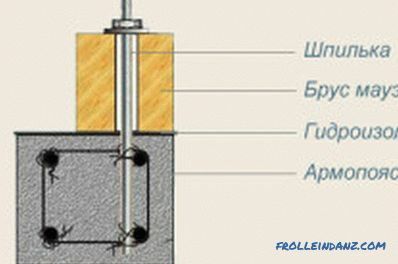 The fourth method of installation is also used in the construction of brick houses. In this case, three rows below the upper edge of the wall is laid wire of steel with a thickness of 3-4 mm. Its ends are drawn from the inside and outside. It is with its help that the power plates are attached to the wall. It should be noted that the length of the wire should be sufficient to tie the bars. Builders practiced another way to install a power plate. 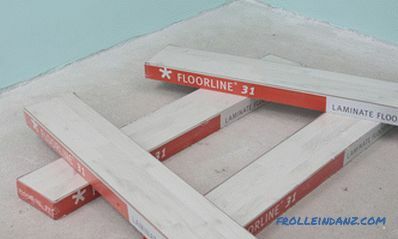 In this case, not bars, but edged boards with a section of 50x150 mm are used. Installation is carried out as follows. First, boards are laid on top of the wall, which are fastened with the help of anchor screws. You need to use exactly the screws that have a screwdriver cap. The length of the fastener must be at least 20 cm. The holes in the masonry are usually drilled using a perforator. Further, on the already fixed boards, the second row of boards is laid. They are fixed already with the help of ordinary nails with a length of at least 100 mm. The joints of the boards at the same time are provided in other places, which forms the dressing. The last installation method has several advantages. First, the boards are easier and they are much easier to lift to the height of the roof. Secondly, if the construction of the house itself and the construction of the roof will be handled by different people, it is unlikely that studs, wires, or mortgage bars will be installed. In this case, will have to do in other ways.